Our community is stronger when everyone is included… and when individual needs are supported. That’s why Community Living Hamilton offers a wide range of programs and services that appeal to every age – kids to seniors – and different levels of support. 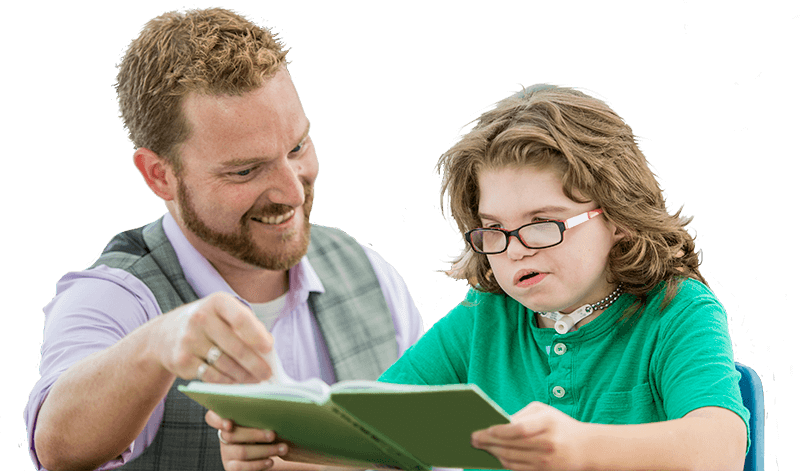 Our goal is to ensure the availability of services that are most meaningful to our clients… and to provide choices that support the needs of all individuals with developmental disabilities. Whether you live with a developmental disability – or care for someone who does – you will find something that suits your needs at Community Living Hamilton. You will also find caring, qualified staff who believe passionately in helping build great lives. Many of our services are accessed by referral from our community partners, such as Developmental Services Ontario Hamilton – Niagara Region, Contact Hamilton or the City of Hamilton. Others can be paid for directly by the client or family – either with provincially supplied funding (Passport and Special Services at Home) or from out of pocket. We collaborate with community partners to ensure that delivery of service is as efficient and effective as possible. How would you like to spend your day? At Community Living Hamilton, you’ll find plenty of choices. We design and organize activities to achieve our clients’ learning goals, with a strong focus on community participation, social interaction, and skills-building. We offer a wide spectrum of recreation, education, physical well-being and life skills training for people with developmental disabilities, ages 18 and up. Our programs feature small-group activities, which build skills, relationships and social interaction within the community. Each year, staff help our clients develop learning goals for the time they spend in the program and provide support as needed to achieve those goals. Support is tailored to client needs, covering mild, medium and high-level support. Here are just some of the activities at our day programs: neighbourhood walks, community events, adult colouring circles, book clubs, noon-hour concerts, movie screenings, charitable fundraising, earth day projects, picnics, cooking lessons, tours of fire stations and other community sites, specialty crafts, water safety classes, karaoke, healthy food choices, active living choices, sit-to-be-fit classes and more. Programs run daily, Monday to Friday, at a number of sites across the city of Hamilton. By referral from the Developmental Services Ontario Hamilton – Niagara Region office at 1-877-376-4674. Home is where the heart is. At Community Living Hamilton, we put a lot of heart into our residential services for people with developmental disabilities, aged 18 and older. We tailor the service to your own needs, abilities, and goals… with a range of accommodation options. Group Homes provide a residential setting of 24-hour support for clients with varying levels of independence and support needs. These safe environments give clients the opportunity to develop life skills while having assistance with their activities of daily living. Clients take part in activities within their community that foster social inclusion and community involvement. Supported Independent Living helps people who live independently with varying levels of assistance. Services and supports typically include training that builds skills in money management, health and safety, grocery shopping and menu planning, medication and health management, and other activities of daily living. Our staff also connects clients to community resources that help develop social relationships and enhance independent living skills. Family Home Program arranges for a client to live in a family’s home for a long-term arrangement. Clients continue to develop daily living skills while receiving support and guidance from the host family. Do you want to gain work experience? More and more companies are seeing the benefits of inclusive hiring. At Community Living Hamilton, we are passionate about helping people with any kind of disability achieve their employment goals. We work with you so you can gain work experience, develop job skills and become an active participant in the community. Our clients participate in a variety of work options across the City of Hamilton. By referral from the Developmental Services Ontario Hamilton – Niagara Region office at 1-877-376-4674, the Ontario Disability Support Program or call us at 905-528-0281. Kids count! Kids need to be included. Community Living Hamilton provides Special Needs Resourcing supports that help childcare programs include children with special needs. Our highly skilled staff include support facilitators and resource teachers who work directly with the childcare center to support the inclusion of your child in the classroom. Staff also assists with information and referral as well as the transition to school. For more information, please call us at 905-528-0281. Managing the money you receive from government can be complicated. We can help. Service Planning – We work with you to develop a service plan for the year, tailored to your needs. Human Resources & Payroll Management – We will hire, train and supervise your support worker and be responsible for payroll obligations. We charge 10% of the value of your Passport funding to cover the cost of these services. We also work with a number of families who receive funding through the Ministry of Child and Youth Services (Special Services At Home). Call us for more information. Call Community Living Hamilton at 905-528-0281. Life experience and fun! That’s what our Drum Corps is all about. A small but integral part of Community Living Hamilton, the Drum Corps is an inclusive activity where members can learn the aspects of music, performance, and education… while serving as ambassadors for inclusion. Founded in 2003, the Corps has grown and developed from a Parade Corps of just 6 staff members to an all-inclusive full Drum Corps of 32 percussionists and 3 colour guards. The Drum Corps has performed throughout southern Ontario at numerous events and won awards in competition with other drum lines. The only Community Living Drum Corps in Ontario, we have garnered sponsorships and local media attention. Due to the hard work and dedication of members who want to make it the best Drum Corps possible, we have now been acknowledged on a world stage. In 2018, the Drum Corps will represent Canada at the 2018 Drum Corps International Sound Sport International Music & Food festival, Drum Line Battle World Championships, in Indianapolis, Indiana. We can’t wait to sound off! Our members join in various ways: through word of mouth from their friends, seeing us in a performance, by staff referral, and social media.